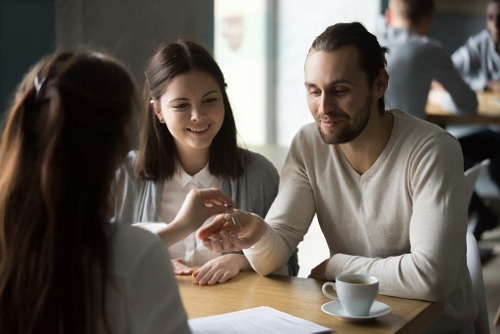 A new report from the Canada Mortgage and Housing Corporation is offering a comprehensive look at the demographics of home buying and ownership in the Montreal CMA, which includes all of the Island of Montreal, as well as the North Crown and South Crown municipalities. In its latest Housing Market Insight, CMHC used data from the most recent Census (in 2016) to analyse households’ geographic origin, household types, the age ranges of primary owners, and their median before-tax incomes. The CMHC report noted that fully 60% of buyers in the Montreal CMA were comprised of households aged 25 to 44. Condos primarily magnetized first-time home buyers and households under the age of 35, while locales like Anjou, Saint-Léonard and Île-des-Sœurs tend to be more attractive to those over the age of 55. “The suburban sectors generally attracted more young families and young couples without children looking for single-family homes. These suburban sectors also attracted buyers from other sectors of the CMA, including a number from the city of Montreal,” CMHC economist Francis Cortellino stated. One-person households represented 45% of condominium buyers across the CMA, while another 30% were couples without children, and only 13% were families. Meanwhile, single-family homes posted nearly polar opposite numbers: 45% were families, and 12% were one-person households. As for those who left Montreal proper to purchase a property elsewhere in the CMA, nearly half were couples (with or without children) in the 25 – 44 age range who bought a single-family home.